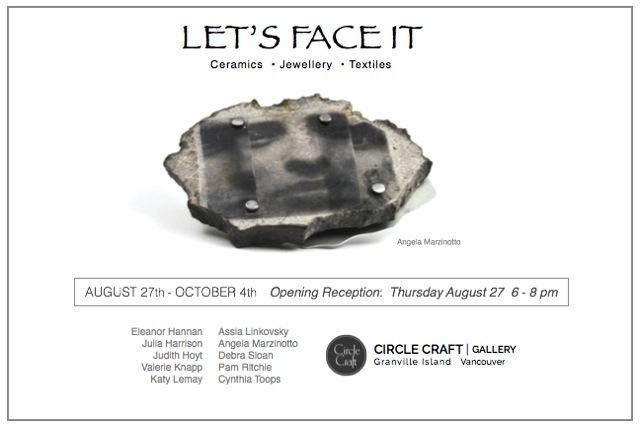 I'm exhibiting two new embroidered works in an invitational show titled Let's Face It, curated by Barbara Cohen, opening Aug 27th in Vancouver at the Circle Craft Gallery on Granville Island. 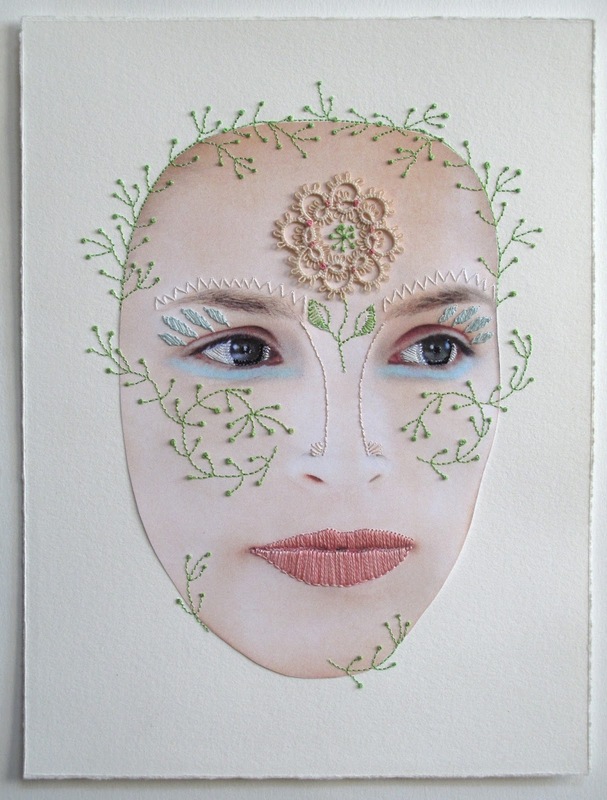 DMC thread, vintage lace flower, mounted and stitched on paper. 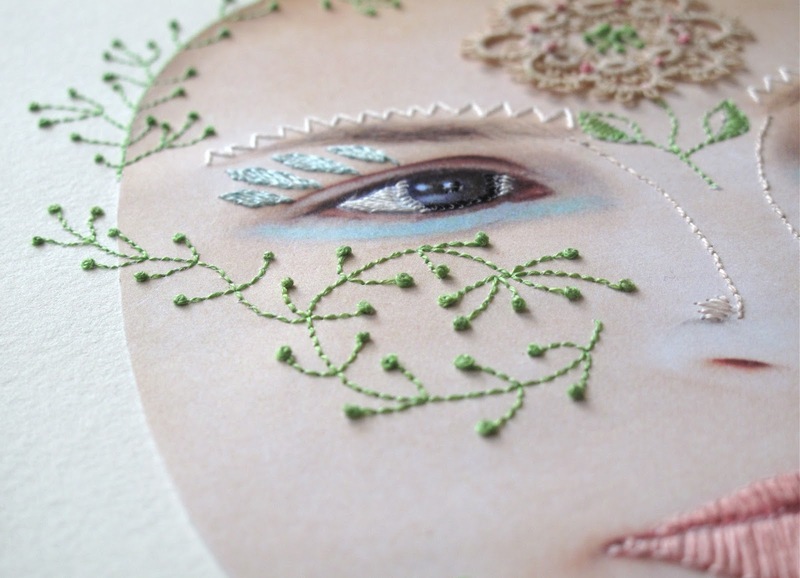 Goddess of Green, (detail) Valerie Knapp© 2015. 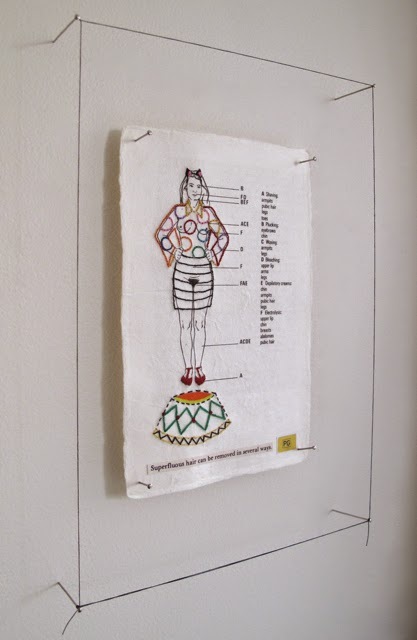 Hand embroidery, vintage magazine photo, DMC thread, vintage lace flower, mounted and stitched on paper. I liked the theme of the face and the opportunity to show in Vancouver. My work often investigates parts of the body, such as the eye, heart, and lungs so to explore the whole face was enticing. Goddess of Green grew out of this image that I had stowed away for many years. I worked directly into the image from start to finish. 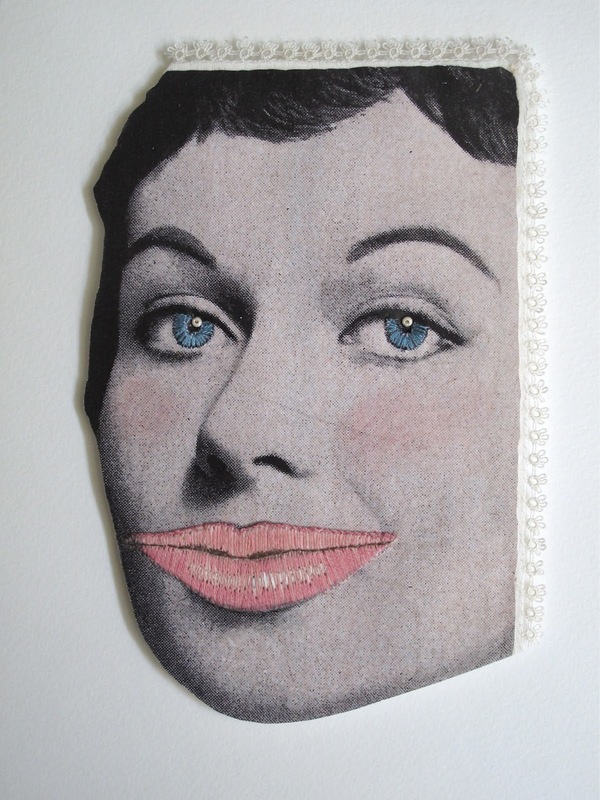 Inflated started with the magnificent lips and then the right face was found; the lips were intricately stitched, then applied to this face scavenged from a 1950's magazine. 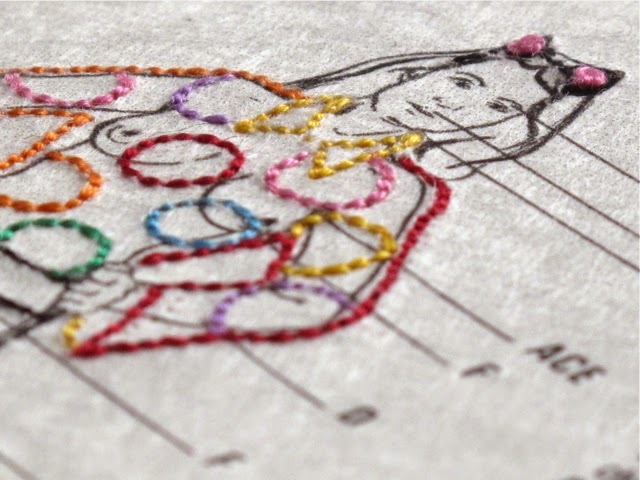 These paper pieces are delicately hand-stitched with a beading needle with DMC cotton. DMC thread, pencil, beads, antique lace, mounted on foam core. 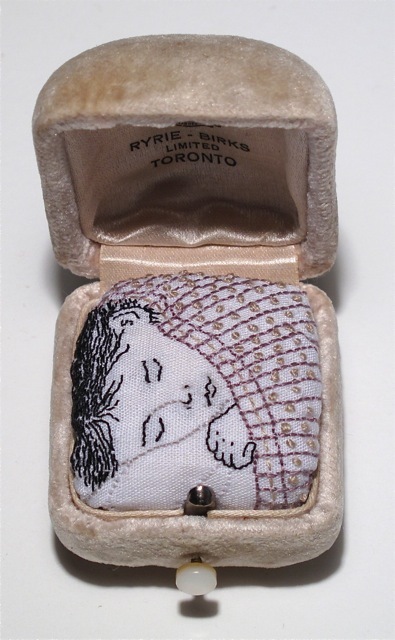 Also included in the show are two of my Boxed Embroideries, in particular embroidered sleeping child pieces, Dream #3 and Dream #4, which are part of a series of tiny stitched faces, tucked under blankets and shown inside small boxes. 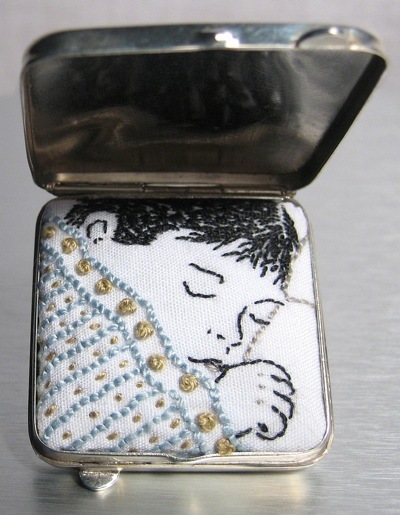 In this case, in a sterling silver vintage tooth box and an antique ring box. padding, mounted in sterling silver vintage Lunt tooth box. Exploring a new medium! 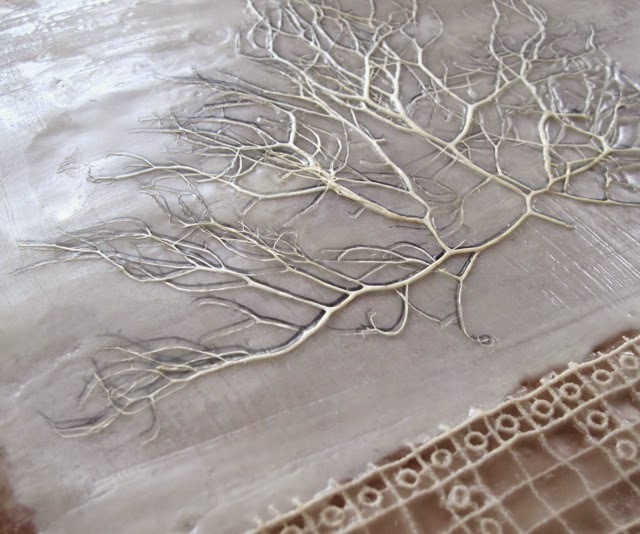 I recently spent some awesome time in a series of classes — an introduction to encaustic. Vivian East and Julia Ramdeholl operate Freehand School of Art in Toronto, offering classes in a variety of media for adults and children. 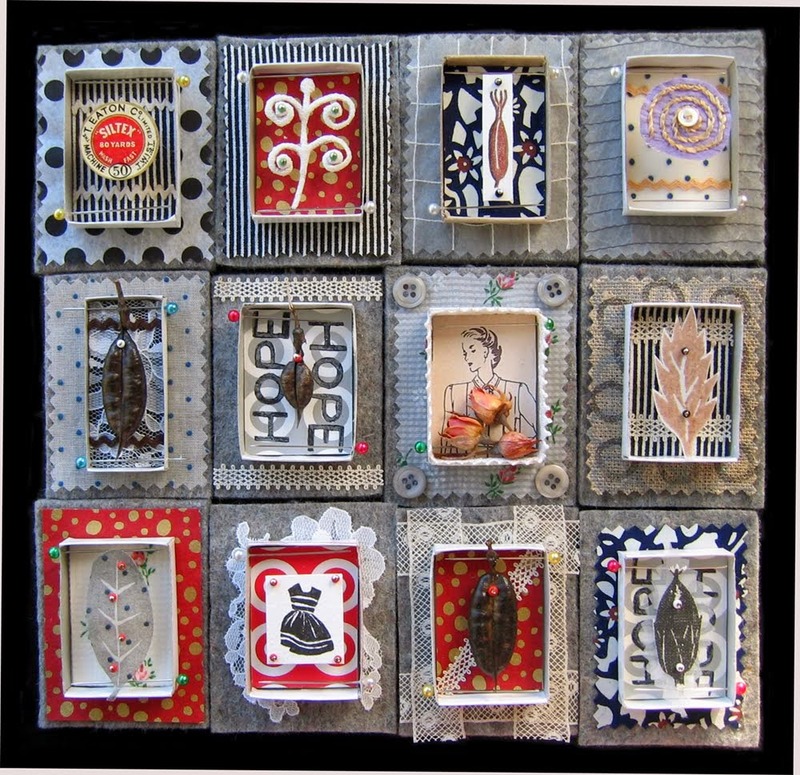 Encaustic is taught by Andrea Nesbitt and the next 5 class session starts in April. Lace and Sea #3. (detail) Valerie Knapp© 2015. 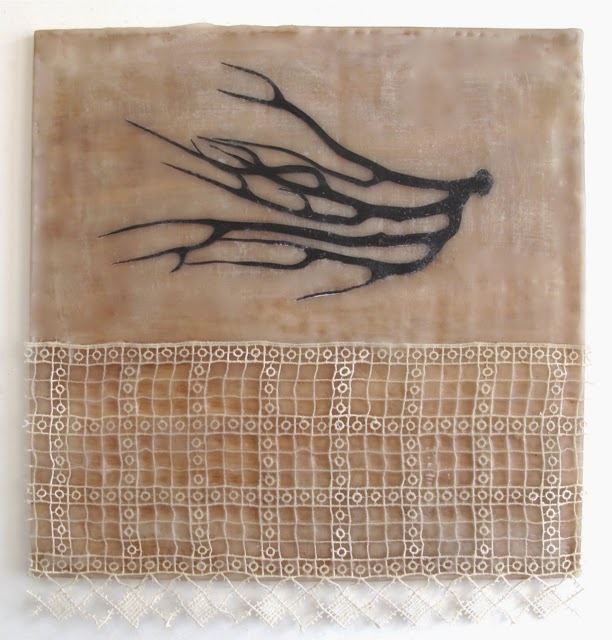 Seaweed, scan, antique lace, paper, wax, on panel. 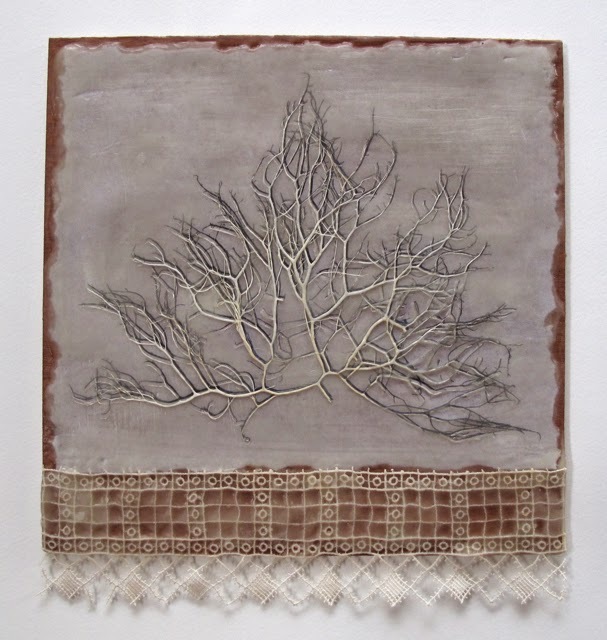 Lace and Sea #3 2015 Valerie Knapp© Seaweed, seaweed scan, antique lace, paper, wax, on panel. I'm intrigued by the interaction of organic and manmade structures, so I like how fusing them together, this juxtapositioning, creates a conversation between these opposite forms of networking. Lace and Sea #2. Valerie Knapp© 2015. Sea fan, antique lace, wax, on panel. Lace and Sea #1. Valerie Knapp© 2015. 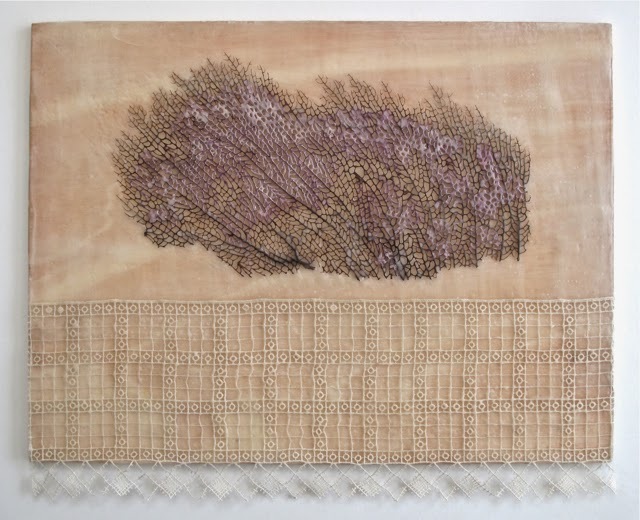 Seaweed scan, antique lace, wax, on panel. 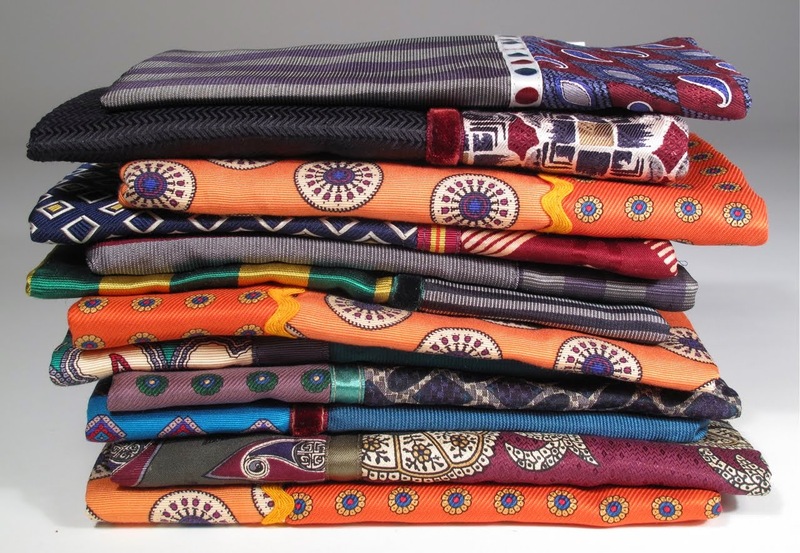 I love how my work and materials takes me in diverse directions researching. I was reading about seaweed, searching the web for images to identify what I have collected, scavenged. 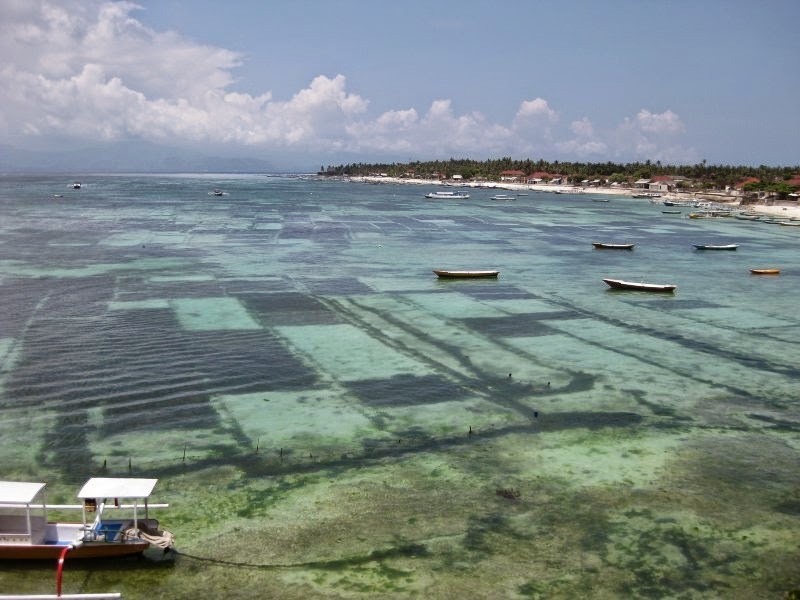 I found this beautiful picture of ocean fields of seaweed cultivation off the tiny Balinese island of Nusa Lembongan, looking like a patchwork quilt! The picture took me to the Botany Photo of the Day page … to see more — UBC Botanical Garden site for the article about this cultivation. Life is full of riches. Los Angeles, California — February 7-28th. 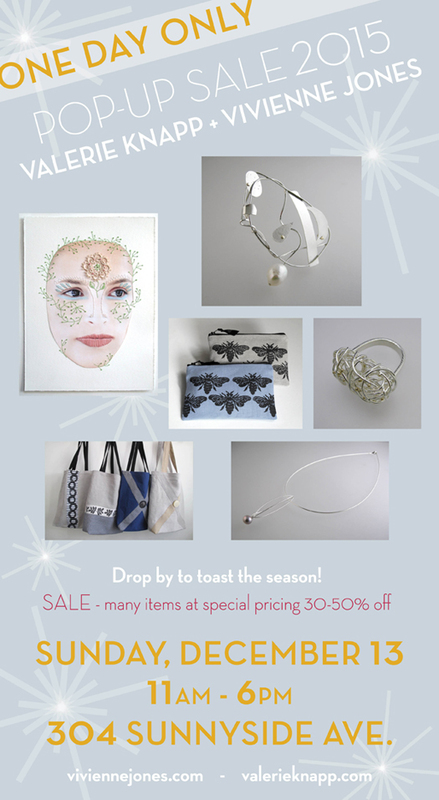 Thanks Ellen Schinderman, curator and stitcher, for the invitation! Guidance (detail). 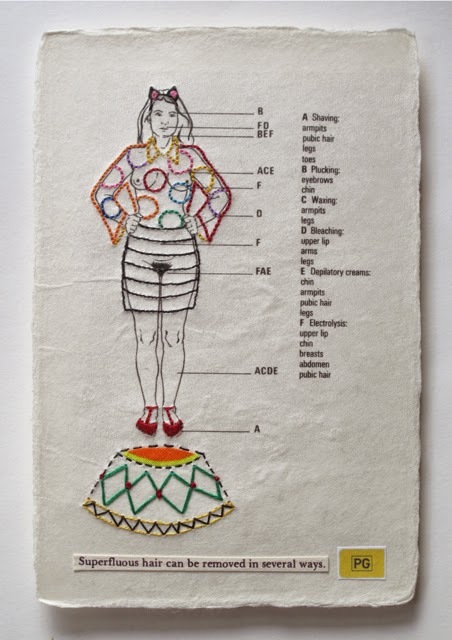 Valerie Knapp© Hand embroidery, DMC, fabric, vintage hair removal guide, paper, on Japanese hagaki (postcard). paper, on Japanese hagaki (postcard). 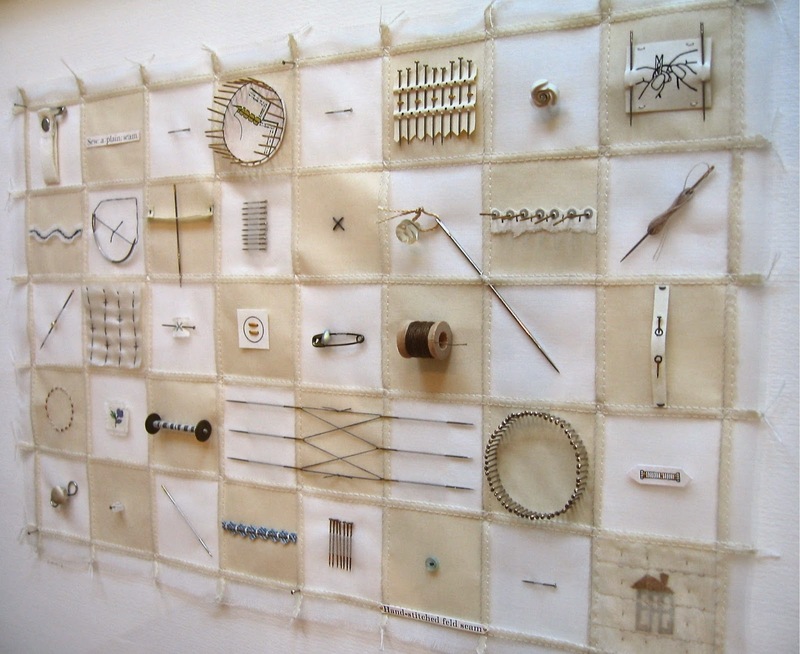 Pins & Needles #2, 2002. Valerie Knapp© Silk organza, Japanese paper, various vintage notions, threads, fabrics, papers, relief print, embroidery, sewing. Pins & Needles #3, 2002. 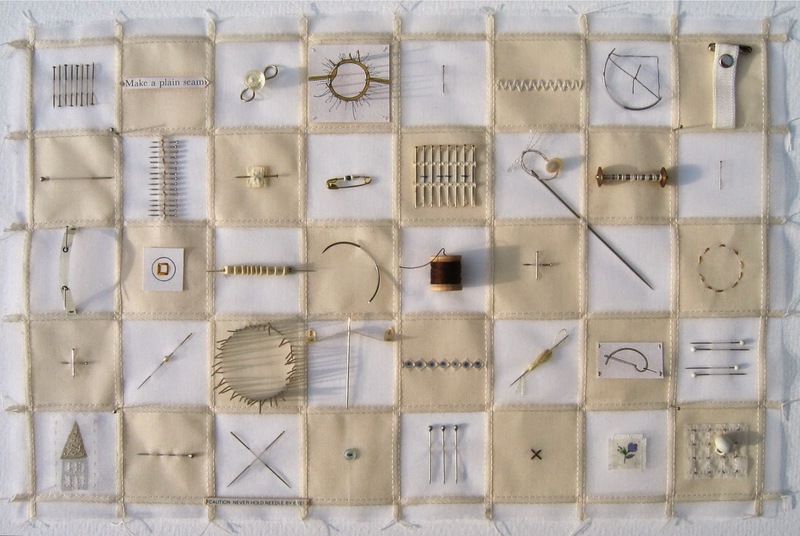 Valerie Knapp© Silk organza, Japanese paper, various vintage notions, threads, fabrics, papers, relief print, embroidery, sewing.